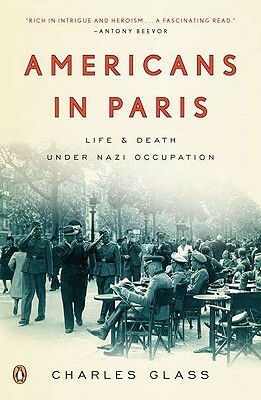 Americans in Paris recounts tales of adventure, intrigue, passion, deceit, and survival under the brutal Nazi occupation through the eyes of the Americans who lived through it all. Renowned journalist Charles Glass tells the story of a remarkable cast of five thousand expatriates--artists, writers, scientists, playboys, musicians, cultural mandarins, and ordinary businessmen--and their struggles in Nazi Paris. Glass's discovery of letters, diaries, war documents, and police files reveals as never before how Americans were trapped in a web of intrigue, collaboration, and courage. CHARLES GLASS was the chief Middle East correspondent for ABC News from 1983 to 1993 and has covered wars in the Middle East, Africa and the Balkans. His writings appear in Harper's Magazine, The New York Review of Books, The London Review of Books, The Independent, and The Spectator. He is the author of Tribes with Flags, The Tribes Triumphant, Money for Old Rope, The Northern Front, and most recently Americans in Paris: Life and Death Under Nazi Occupation.